Want to get free Snapchat Geofilters? Getting a free Snapchat filter is now simpler than ever with the FilterPop referral program. 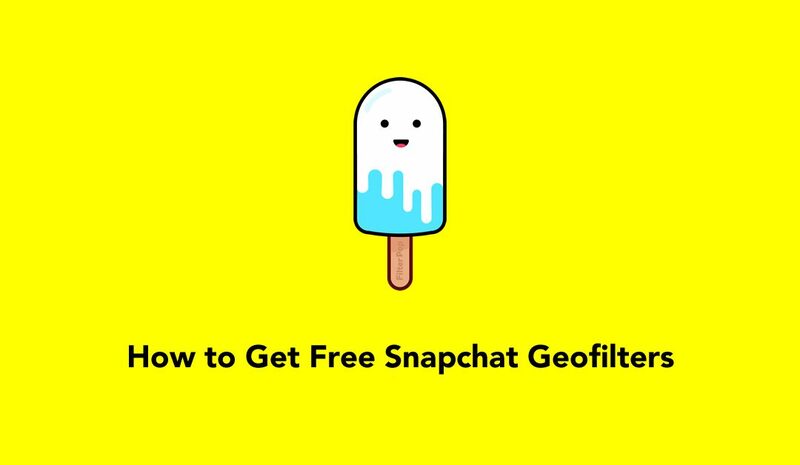 Let’s dive in to how you can easily start earning free filters just by telling your friends to make Geofilters too. Download the FilterPop Geofilters app. Refer as many friends as you can to FilterPop. Jump on your iPhone or iPod Touch and download the FilterPop app to get started. Click here to download FilterPop. 2. 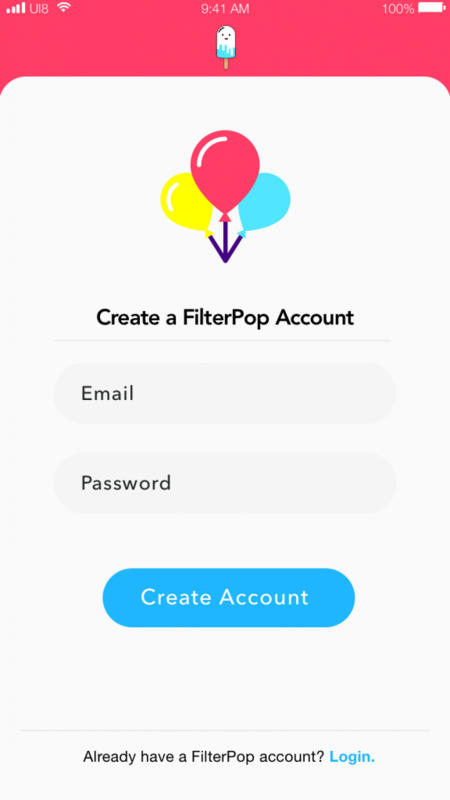 Create Your FilterPop Account. 3. Refer as Many Friends as You Can to FilterPop. 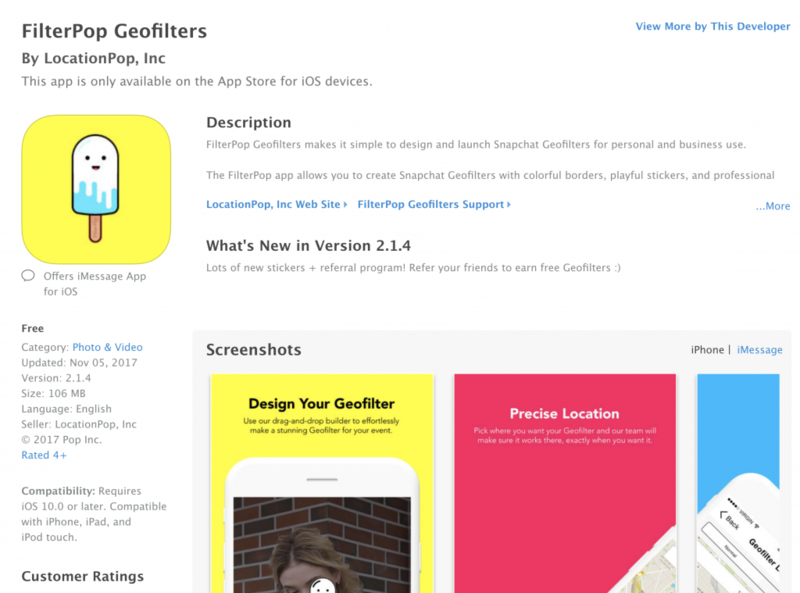 Soon after you make your FilterPop account, you’ll be able to start telling your friends about Geofilters. Best of all, when you tell your friends about Geofilters you’re also giving them $5 to make a Snapchat filter. This means that you’re gifting your friend $5, but also getting $5 when your friend uses their gift from you. It’s a win-win for both of you! 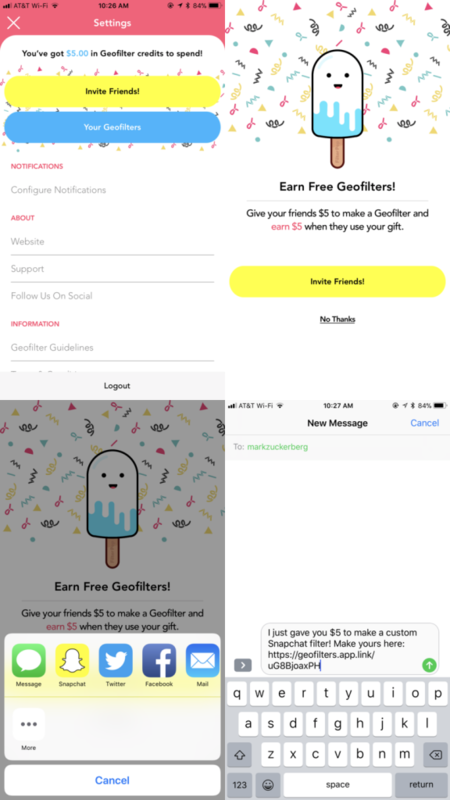 Once your friend joins FilterPop’s app, poke them to make their first Geofilter! Then you’ll collect $5 for yourself after they designed and launched their first filter into Snapchat.